At Nature Medica, Dr. Katie Rose can prescribe customized IV nutrients. IV therapy is a method of feeding vitamins, minerals, and antioxidants directly into the bloodstream to correct intracellular nutrient deficiencies, boost immune function, decrease inflammation and fight free radical oxidation. IV administration safely allows patients to get up to 10 times greater the dose of vitamins and minerals than can be tolerated orally. What are IV nutrients used for? Immediate and 100% absorption – IV Therapy can be used for acute conditions such as migraines, headaches, colds and flu. IVs bypass the GI and liver so 100% gets into the bloodstream. 100% pure ingredients. Even the best quality oral supplements have ingredients which are added for manufacturing ease, taste, or as a filler or preservative. Because the IV ingredients are sterile compounded at a pharmacy, these extra ingredients aren’t needed. The nutrients get into the cells. IV Therapy creates a concentration gradient that allows nutrients to be delivered from the blood stream into the cells more efficiently. Therapeutic doses can be achieved – It is hard to get a therapeutic dose of certain vitamins and minerals such as magnesium and vitamin C orally. If you take high doses of these vitamins orally, they stay in the bowels causing diarrhea. When you bypass the GI tract using IV therapy, you get greater benefit of some vitamins and minerals. Great for people with digestive disorders. If you are struggling with malabsorption or digestive inflammation, many nutrients can irritate the gut and resist absorption. 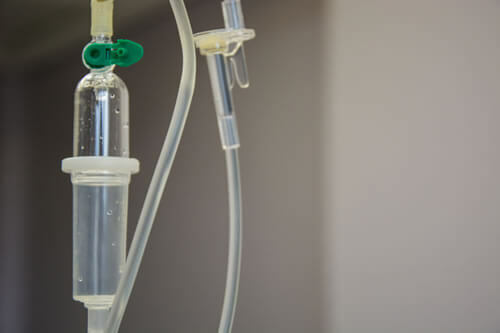 IV therapy can replace crucial nutrients making you feel better quickly while we work on the underlying digestive problems. You must have a brief visit with Dr. Rose to establish care as an IV patient. If you have had any recent lab work within the past 6 months, please bring this to your appointment. Dr. Katie Rose will determine whether or not there are any contraindications for IV therapy, if there are any further labs needed to proceed with IVs, and perform a targeted physical exam. If at a future time, you would like to set establish care for other concerns, a comprehensive new patient visit can be scheduled.